Jim Garrettson, founder and CEO of Executive Mosaic, presented David Berteau, CEO of the Professional Services Council, with his second Wash100 award on Wednesday. 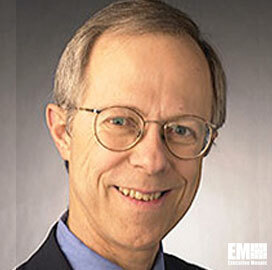 Executive Mosaic recognizes Berteau for leading efforts to improve the U.S. government’s procurement and funding issues. We are honored to present the most coveted award in government contracting to David Berteau and PSC. 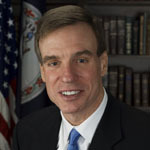 Sen. Mark Warner, D-Va., re-introduced a bill aiming to improve U.S. national security through a modernized security clearance system and a new workforce to handle national security and public safety missions. The Modernizing the Trusted Workforce for the 21st Century Act would also help the government reduce its background investigation backlog, Warner said in a statement released Friday. The bill was introduced to the Senate in 2018. The U.S. Chamber of Commerce released data reflecting a loss of $2.3B in small business revenue due to the government shutdown, NextGov reported Thursday. The shutdown has affected 41,000 small businesses across the country over the shutdown's first 34 days. David Berteau, president and CEO of the Professional Services Council, told Government Matters in an interview aired Tuesday about industry’s concerns once the Defense Department takes over the governmentwide program for security clearances from the Office of Personnel Management. Berteau mentioned some of those concerns, including the volume of the clearance backlog, background investigation process, funding and reciprocity. David Berteau, president of the Professional Services Council, has said one of the programs that contractors are on the lookout for in the fiscal 2019 appropriations bills is the Defense Department’s “Deliver Uncompromised” initiative, Federal News Radio reported Wednesday. 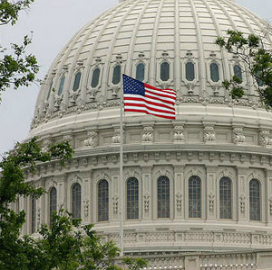 The Professional Services Council has commended the House and Senate Armed Services Committees for finalizing and passing the fiscal 2019 defense spending bill that contains provisions that could have an impact on government contractors.